Cheap royalty free licensed images and photos for advertisement and business. Buy for the best prices within subscriptions and discount programs pricelists, discounts, and subscriptions for image downloads. 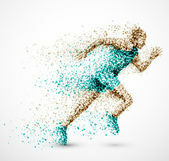 Images and vectors sport are also suitable for logo and logotype design. 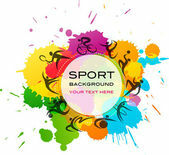 Royalty free licenses for sport images are time unlimited and have wide range of use. Stock Photos Fotky&Foto offers illustraions, images, vectors and photos from regional authors, photographers and designers. Royalty free licensed and Editorial licensed cheap images without risk. Imagine Sports Equipment Sports equipment with a football basketball baseball soccer tennis and golf ball and badminton hockey puck as recreation and leisure fun activities for team and individual playing. Imagine Cottage. Heritage Village. Folk architecture Bardejov - Slovakia. Imagine Ready to hit! A portrait of a tennis player with a racket. Imagine Winter, mountains, skier and sunset. Lysa hora - Beskydy. Imagine Fall. Mountains, fog and tourism. Great Fatra - Slovakia. Imagine Athlete feet on road Athlete runner feet running on road closeup on shoe. woman fitness sunrise jog workout concept. Imagine Mountains. Trees, sky and autumn. Beskydy - Lysa Hora. Imagine Winter and Mountains. Skier and Lysa hora. Beskydy. Imagine Beach. Ionian island of Zakynthos, Greece.